When Does Boom Content LLC Collect Personal Information? Boom Content LLC collects personal information from you when you voluntarily submit that information to Boom Content LLC , for example: when you register on a Site; sign up for a subscription service; register for our e-newsletter service; participate in one of our sweepstakes, contests, or surveys; respond to an offer; purchase or rent products; or request to be on a mailing list. After you have registered your e-mail address on the Site and if you have clicked "Remember Me" or signed in to the Site, Boom Content LLC collects Site behavior and browser information as you navigate through the Site. This information may be used to create a profile that we keep on individual Users that details their preferences, personal information and behavior. Consequently, collected information is tied to the User's personally identifiable information and may be used to provide offers and improve the content of the Site for the User. This profile may also be used to tailor a User's visit to our Web Site, and to direct pertinent marketing promotions to them. Does Boom Content LLC Use Cookie Technology? 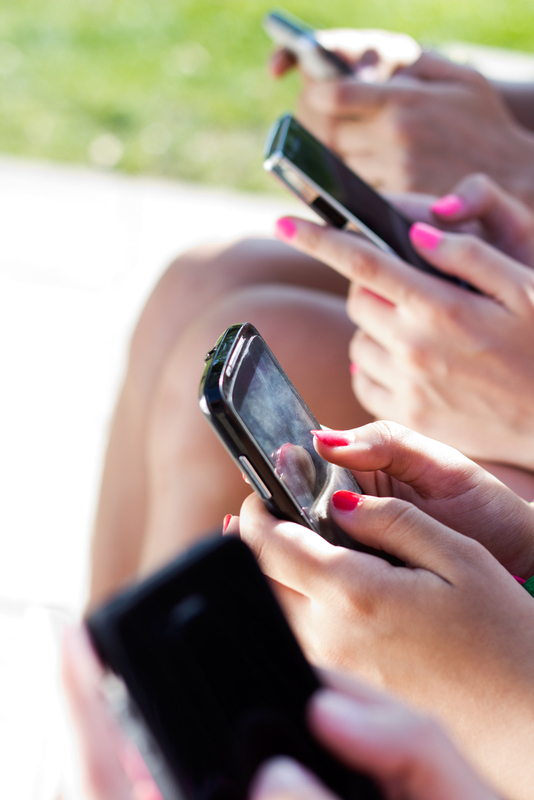 What Other Mechanisms Does Boom Content LLC Use to Track User Behavior? Boom Content LLC and its third party vendors use web beacons to track and analyze non-personally identifiable usage information and to compile statistical information about our Users in order to improve the Web Site's quality and to support our business. All data collected on behalf of Boom Content LLC is owned and used by Boom Content LLC . Boom Content LLC reserves the right to publish non-personally identifiable, summary information regarding its Web Site visitors for promotional purposes and as a representative audience for business partners. How Does Boom Content LLC Handle Information from Children? How Does Boom Content LLC Use Personal Information? Use of Personal Information is for our internal business purposes. Boom Content LLC uses the personal information you provide for the purposes for which it was provided, for example, to process an order; to record your rental of a product and its return date; to support an online subscription service; to collect debts and recover overdue rental products; to notify you that you have won a contest or sweepstakes; to respond to your inquiries or complaints or to contact you or send you information about your membership. In addition, Boom Content LLC , its subsidiaries and franchisees may share and use information collected through the Site to administer and manage our business, including, for example for account maintenance and collections purposes, and in connection with information technology services. In addition, personal information may be used to create a profile that we keep on individual Users that details their preferences and behavior. This profile may be used to develop and improve the products, benefits and services, Boom Content LLC , its subsidiaries, franchisees and business partners offer to our Members or Users, to improve the Site and the associated user experience, and to develop pertinent marketing promotions to Users and Members. Where permitted or required by law, Boom Content LLC may collect, use or disclose your personal information without your consent, for example in response to a court order or subpoena or to comply with a legally permitted inquiry by a government agency. When Will I Be Contacted by Boom Content LLC ? You may receive products and communications associated with your transactions with Boom Content LLC , such as rentals, purchases, subscriptions, sweepstakes and contests. You may also receive communications from Boom Content LLC related to transactions that appear to be from you or which appear to be fraudulent. You may be contacted in regards to an issue on your account or in response to a customer service contact by you or in response to a specific request from you such as clicking on a "forgot my password" link. Users who sign up for e-newsletter subscriptions will receive e-mails in accordance with their selection and preferences. These administrative communications also may be accompanied by information about products and services, special offers and upcoming promotions or events offered by Boom Content LLC , our subsidiaries, our franchisees or our marketing partners that we think may be of interest to you ("direct marketing"). You may periodically receive from Boom Content LLC , its subsidiaries and franchisees unsolicited direct marketing communications by mail (delivered via the United States Postal Service). Boom Content LLC and its subsidiaries will send standalone direct marketing e-mail communications to you only if you have agreed previously. We support the option to not receive these types of communications. Please see the following section: How Can I Opt Out of Receiving Direct Marketing from Boom Content LLC ? How Can I Opt Out of Receiving Direct Marketing from Boom Content LLC ? E-mails that are sent to you as a result of you performing a business transaction with us or requesting specific information from Boom Content LLC are not subject to an Opt Out process. If you have any suggestions on how to improve these e-mails, please communicate to our Online Customer Service group using the Contact Us functionality on the Site. We appreciate your feedback but cannot commit to taking action. What Personal Information Does Boom Content LLC Give to Others? Transfer of Personal Information to Third Party Goods and Services Providers. Boom Content LLC employs third party vendors, service providers, and suppliers to perform various functions on our behalf. Such services include: fulfilling orders; processing credit card or check card payments; collecting debts; removing repetitive information from customer lists; analyzing data; developing, hosting and maintaining our Web Sites and databases; sending and receiving e-mail and other communications; and staffing customer service call centers. These third parties may have access to personally identifiable information as reasonably necessary for the third party to provide these services. These third parties are not allowed to use personally identifiable information except for the purpose of providing these services. Certain information collected in connection with transactions may be provided to third parties for use in transaction authorization, fraud scoring and payment card fraud prevention modeling. Boom Content LLC , its affiliates and franchisees (if permitted by Boom Content LLC ) on occasion may disclose to their business partners certain data, such as names and addresses and the genre of products rented or purchased by Users or Members, so that the business partner may send their own direct marketing communications to Users and Members. Boom Content LLC will not provide User or Member e-mail addresses to business partners, unless the User or Member has provided express permission to Boom Content LLC . If you would prefer that Boom Content LLC not disclose your personal information to its business partners for direct marketing purposes, subject to legal, or contractual restrictions and legal notice you may opt out of such uses and/or disclosures by (a) checking the appropriate "Opt Out" box in any applicable e-mail communication or e-newsletter, (b) visiting www.Haltgame.com, selecting 'Contact Us'. Third Party Features. From time to time Boom Content LLC may include additional features and functionality from third parties on our Web Sites. Certain of these features and functions, may require Boom Content LLC to send selected information about you, such as information about your game queue, to the third party. If you do not wish for Boom Content LLC to share this information, you will have a reasonable opportunity to opt-out of these third-party features and functions. Boom Content LLC will never send your password or your financial information to any third party through these features or functions. Public postings. If you disclose your personal information in a manner that will be posted publicly such as in a product review your posting will be seen by others. In addition, if you elect to participate in certain community features offered from time to time, selected information about you, including information about your game queue, may be shared with other participants in these community features. Also, Boom Content LLC may make it possible for certain third party web sites to be accessed directly from our Web Sites and for selected information about you to be provided to these third party web sites if you are also a user of these third party web sites. If a third party web site allows other users to view information about you (e.g., through posting to a publicly available profile page), the information provided by Boom Content LLC will be visible to other users of the third party web site. How does Boom Content LLC Protect Personal Information? Boom Content LLC takes reasonable measures to protect the personal information it collects, uses, stores or discloses. We have implemented physical, technological and organizational procedures designed to protect the integrity and security, and to ensure the appropriate use, of your personal information. These procedures are appropriate to the nature, sensitivity and format of the personal information collected, used, stored or disclosed by Boom Content LLC . For example, Boom Content LLC uses Secure Sockets Layering (SSL) to encrypt your personal credit information, including your credit card or check card number, before it travels over the Internet. SSL technology is the industry standard for secure online transactions. You can review and change certain account related information by visiting Boom Content LLC , submiting suitable identification and giving the Boom Content LLC your changes such as providing a new address or phone number, removing names from your account, changing your credit card or check card information, etc. Note that in most cases, Boom Content LLC will retain the previously entered data. Video Privacy Protection Act of 1988. Boom Content LLC supports the Video Privacy Protection Act of 1988 and will use reasonable commercial efforts to require employee and business partner compliance with the Act. Please create a account at HaltGame to access unlimited downloads & streaming. Signup now! 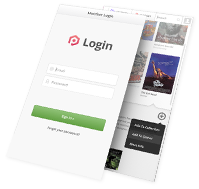 It only takes 2 minutes to signup for 1600 Premium Games. 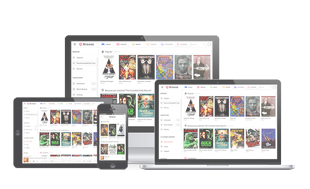 Join hundreds of thousands of satisfied members of HaltGame who became tired of searching for movies, games, music & e-books online, and now enjoy the hottest new movies, games, music & e-books and timeless classics on our site. 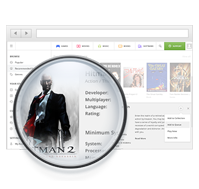 HaltGame makes it easy to find what you’re looking for, whether it’s a game, song, book or movie. And finding friends or people who can help you discover great new titles is just as simple. Sometimes only the best content will do. HaltGame has a huge library of titles on demand and we’re adding new content everyday! ©2013 HaltGame. All rights reserved.